Innovation has undeniably contributed to simple ways for us stay connected with friends, and to appliances that allows you to alter the physical state of sliced bread through heat activation (my personal favourite). Amongst these life pleasures, innovation is evolving Australian products and its manufacturing processes. As a result, Australian made products are becoming increasingly competitive on the global market. Annually, Food Innovation Australia Limited (FIAL) releases a book titled Celebrating Australian Foods and Agribusiness Innovations. The book lists 50 food and agribusinesses that are proving innovative in the industry. The 50 businesses are chosen by an expert judge panel that base their selection on seven megatrends identified by the CSIRO. Selections range from businesses creating new wheat varieties to revolutionary packaging formats. Essentially, each business faced a challenge and overcame that challenge through innovative thinking. Undeniably, this book identifies forward thinkers, rewarding them with exposure to domestic and international markets. Two MNFG partners proved to be amongst some of Australia’s most innovative food and agricultural businesses. Naturally Good and Akkary Fine Foods were ecstatic to be accepted into the third edition for their products. Both businesses identified challenges faced by their products, and how they overcame those challenges through innovation. Naturally Good produces a variety of delicious snacks, cookies and crispbreads. Based in Campbellfield, the business identified a challenge met by an increasing number of consumers. Coeliac Disease and Irritable Bowel Syndrome (IBS) are two conditions effecting a large number of Australians. 1 in 70 Australians suffer from Coeliac disease, while 1 in 5 Australians have problems with IBS. Due to these conditions, Australians are unable, or have trouble consuming a variety of products. Naturally Good aimed to achieve a product suitable for people with these conditions. After development and product trials, they had developed a new Munchy Muesli Cookie. Not only is the cookie suitable for people with Coeliac Disease and IBS, it is also tasty and has great texture (usually challenging for products of this nature). The team made breakthroughs with FODMAPs or Fermentable, Oligosaccharides, Disaccharides, Monosaccharides, Polyols. Sounds complicated, right, but what this is are sugars that aren’t properly absorbed in the gut, resulting in problems. 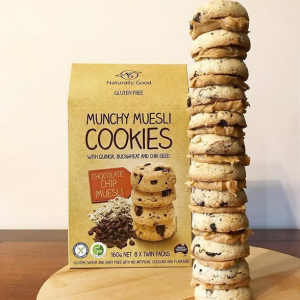 The Munchy Muesli Cookie has gained a lot of popularity, now exporting to Dubai, Singapore and Hong Kong. The cookie comes in four flavours and is available in major and independent food retailers, not to mention online. Marketing & Product Development Manager at Naturally Good Connie Manglaviti, highlights what this book recognizes. “Being accepted into this book showcases the behind the scenes work that goes into all of these businesses products. It’s important to tell the story of how products have evolved through commitment to innovation,” she said. 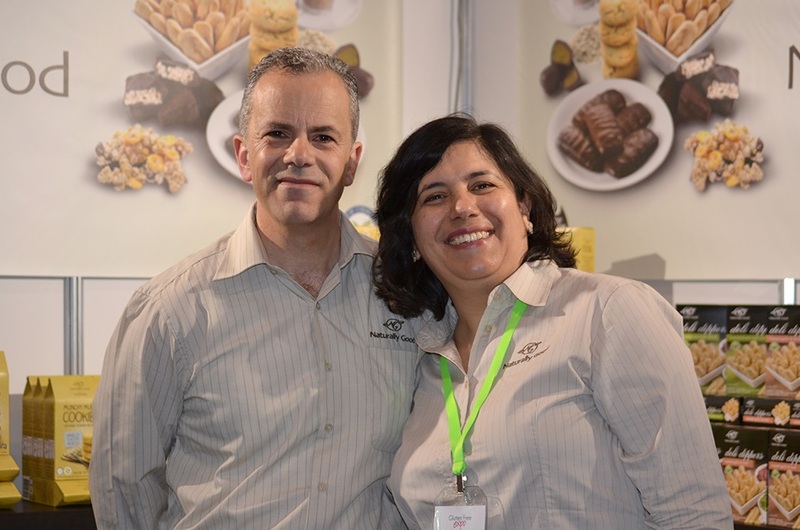 Akkary Fine Foods’ proved innovative through its ability to evolve family recipes into a delicious and healthier snack alternative. The first of its kind, Akkary’s Finz Crisps are a light healthier alternative than your regular chip or cracker. The Finz Crisp evolved from humble beginnings. Founder John Akkary, grew up watching his mother and grandmother cook traditional Lebanese dishes. Following in their footsteps, John experimented with flat bread. The bread would sometimes not come out as planned. Rather than labelling his broken bread as a failure, he seasoned and served it to the family as a snack. Rave reviews from his family was enough for John to continue experimenting with different flavours and techniques. John decided that his product would be a healthier alternative following market research found a lack of healthy Australian snack foods. 1 in 4 Australian children between the age of 5 and 17 are obese. Inspired to find a solution, John developed the crisps to be light on calories, yeast free with no artificial colours. 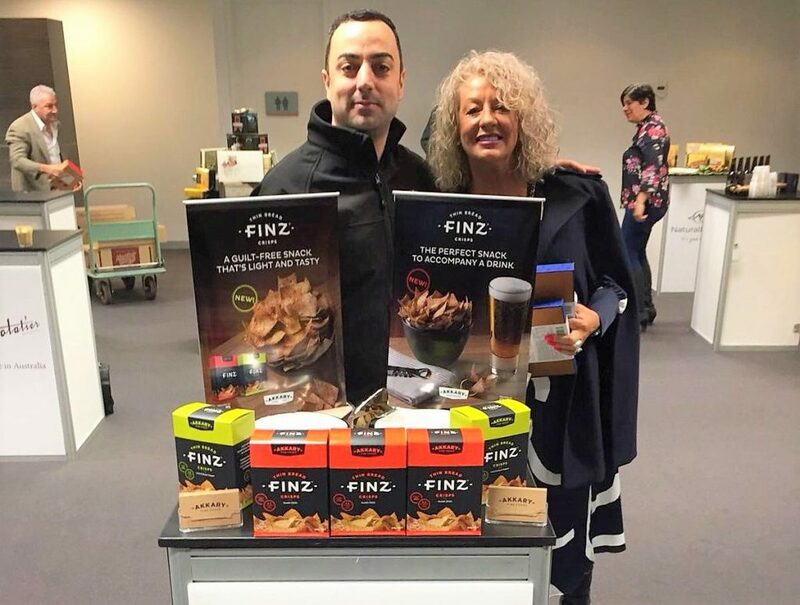 In 2017, Akkary Fine Food released the Finz Crisp in flavours Lime Black Pepper and Sweet Chilli. These tastes quickly increased in popularity, as consumers raved about the light, baked snack that wouldn’t spoil your appetite. So much so, Akkary Fine Foods was featured in an article for Kochie’s Business Builders. 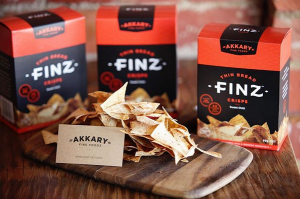 Several years of trial and error has resulted in a wafer thin crispbread that’s awarded Akkary Fine Foods’ recognition among Australia’s most innovative food businesses. 2018 marks an outstanding year for Akkary, also picking up a silver medal in the Australian Food Awards for their Lime & Black Pepper crisp. “We wanted to take on the market by creating a product that’s a healthier alternative and at the same time, delicious. I think we’ve achieved that by creating a product that has less than 100 calories per serve. We’re proud that we’ve been able to produce this product right in the heart of Melbourne’s North,” John said. Celebrating Australian Food and Agribusiness Innovation inspires as much as it celebrates the businesses investing into innovation. Collectively, the industry is utilising innovation as a way to overcome challenges. As a result, we can expect Australia’s food and agribusiness industry to continue to demonstrate competitiveness on the global market. Congratulations to all partners who continue to push the envelope in innovation and development. The Melbourne’s North Food Group is an active and dynamic industry group, delivered by NORTH Link, that represents food, beverage and fibre businesses across northern Melbourne. Copyright © the Melbourne’s North Food Group.